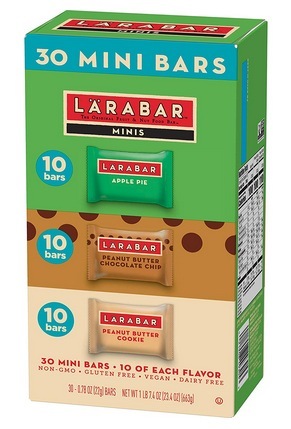 Larabar Minis Gluten Free Bar Variety Pack (30 pack) only $11.63 shipped! Amazon has this Larabar Minis Gluten Free Bar Variety Pack (30 pack) for only $11.63 shipped when you checkout through Subscribe & Save! That’s like paying only $0.38 each shipped! These are perfect for school lunches! « Japanese Garden Oak Wood Essential Oil Diffuser for just $9.99!